A single-page full-color comic created for the January 2014 issue of Project OH! Magazine. The not-so-anticipated follow up to the mildly received debut mini comic The Plainest Plane Vol. 1. Another collection of miscellaneous illustrations, short gag strips, and various tales of sad-sackery. A collection of short autobiographical comic strips chronicling each day in six panels from March 2014 - July 2014. A short entry to the Fren Food zine curated by artist Emily Becerra. 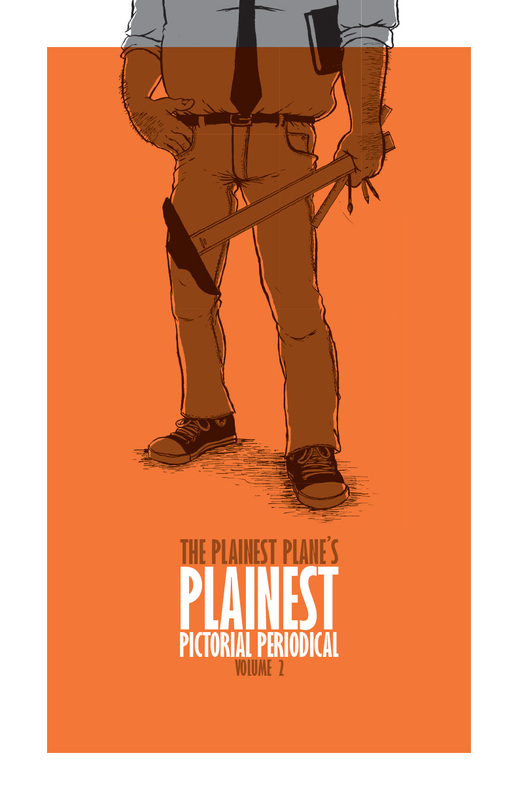 The debut issue of The Plainest Plane's Plainest Pictorial Periodical. A collection of miscellaneous illustrations, short gag strips, and various tales of sad-sackery. A collection of illustrated autobiographical anecdotes from my childhood. This comic book attempts to capture the humorous experiences of growing up as an awkward, chubby, sensitive kid with an active imagination and an over-inflated sense of romance. A smaller collection of autobiographical short stories from my childhood, specifically chronicling how I cried at least once during every year in elementary school.